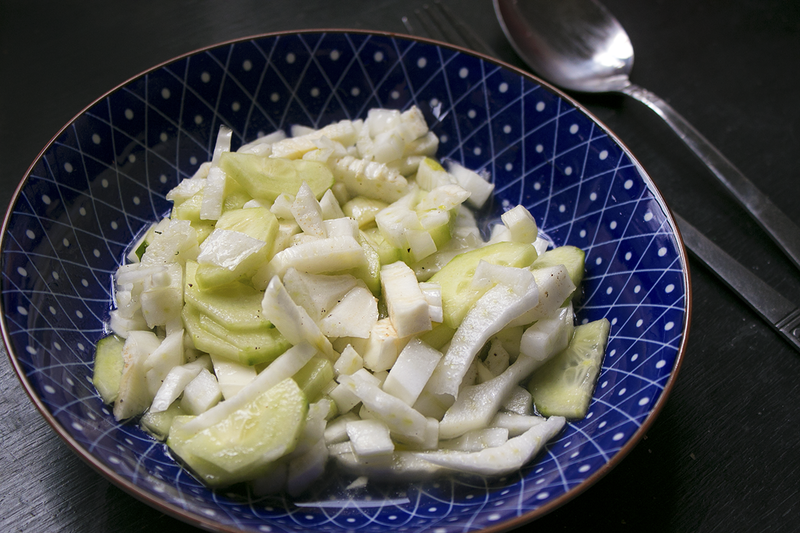 Fennel is a vegetable which anis-like taste I sometimes crave for, and sometimes makes me go 'Uh, not now!'. It is however mostly the first option for me, and this easy-to-put-together side dish salad suits Easter well I think. It goes well with mild foods like eggs and rice to add some sour and piquant vibes, or middle along wiht some eastern dishes but also on top of a cheese sandwhich for example. Just blend together in a bowl and you're good to go! I use a white vinegar with black currant which gives some extra taste to the salad. If you want a spicier version you can add a little Sriracha sauce as well. And add some more oils and fine chopped cabbage if yo do, but now we are going into totally different territories and salads already.